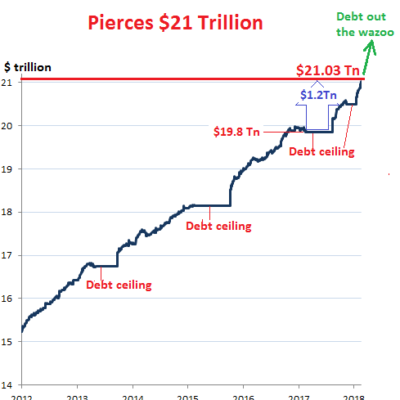 US Gross National Debt Spikes $1.2 Trillion in 6 Months, Hits $21 Trillion – These Dang Trillions Are Flying By So Fast, They’re Hard To See. It's going to snow, and snow very hard, across the Northeast Wednesday afternoon. FUN FACT…Mueller has spent appox.$6.7M so far…to tell us 13 Russians spent about $274K on ads with Twitter/Facebook to sway a election but …not really sure which way.This is your hard earned tax dollars at work folks. Mexican Woman Learns The Hard Way About Crossing A High Border! The reason the Dems are fighting so hard for DACA is it will amnesty the 3.6 Million ‘nightmares’ and their ‘parents’. Why is the Media Working So Hard to Connect the Las Vegas Shooting to Charles Whitman and the 1966 University of Texas Shooting?